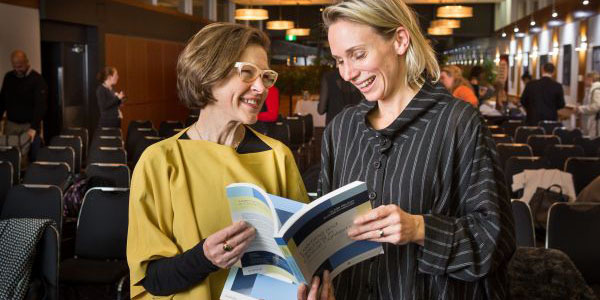 The Department of Medical Education's Professor Elizabeth Molloy and Associate Professor Clare Delany launched their new book, Learning and Teaching in Clinical Contexts: A Practical Guide, at the Research Symposium in August 2018. Featuring the perspectives of more than 40 leading international researchers, theorists and practitioners in clinical education, the book provides a bridge between the theoretical aspects of clinical education and the delivery of practical teaching strategies. The contributors are renowned international and national experts in health professions education.